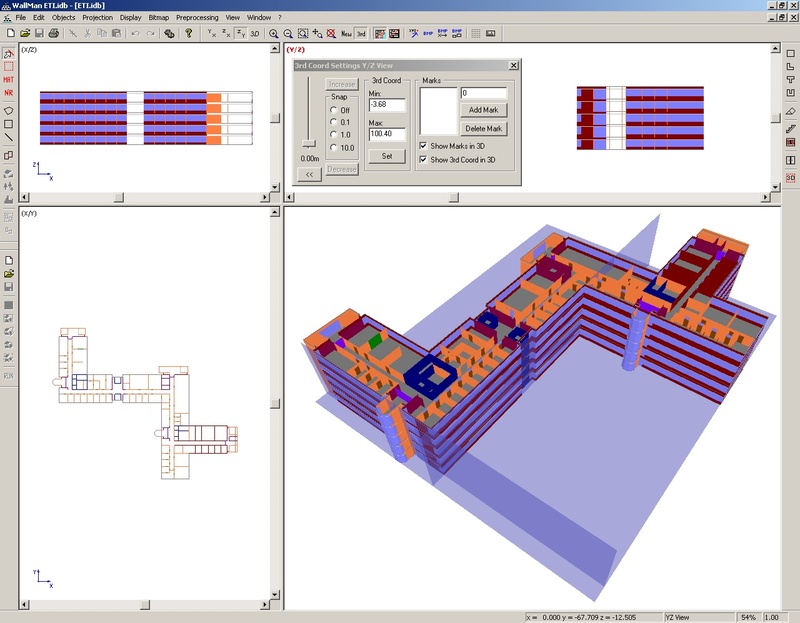 The WallMan software tool offers a convenient facility to generate and edit vector building databases (e.g. for urban and indoor scenarios). 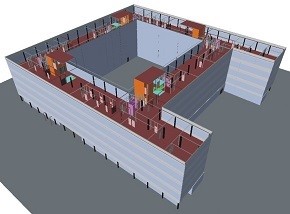 Especially the 3D view of the building data helps to detect errors in the database. Several import filters for standard GIS (MapInfo, Arcview,..) CAD (DXF, Shapefile,...) and pixel formats (Bitmaps,...) are available. 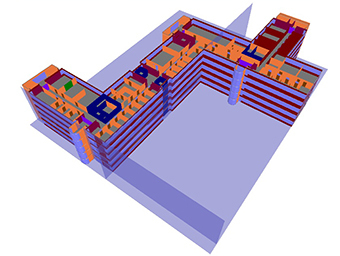 The 2.5D data format can be used to describe urban scenarios while the 3D data format is more flexible and supports arbitrary scenarios incl. indoor or tunnel environments. 3D vector databases can be imported.